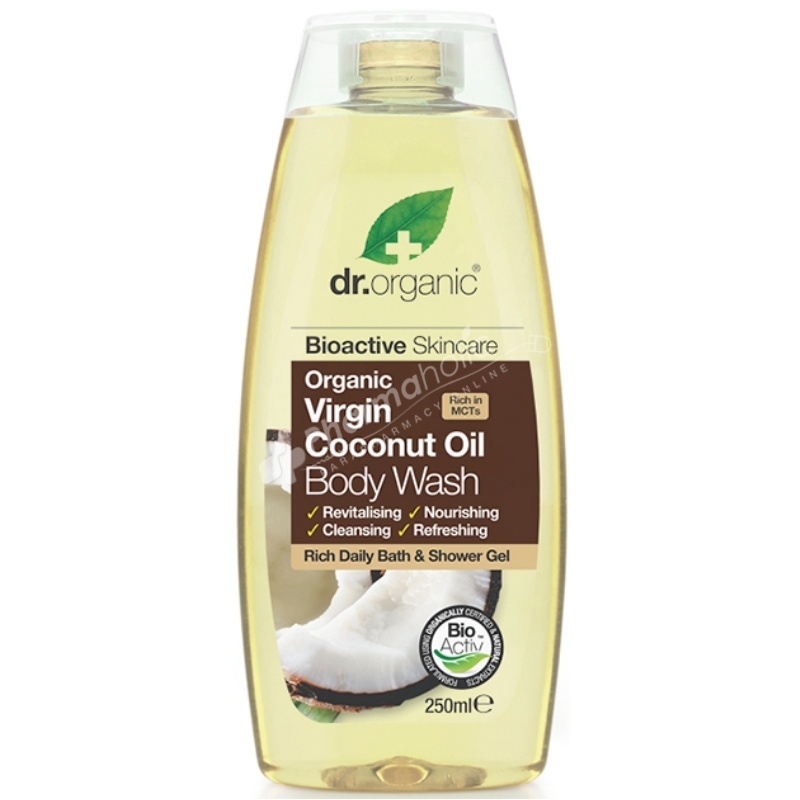 Rich daily bath and shower gel, Organic Virgin Coconut Oil is renowned for its nourishing and hydrating properties. It is also rich in Medium Chain Triglycerides which moisture the skin. By combining this unique natural ingredient with a propriety blend of bioactive and organic ingredients it leaves the body feeling regenerated, refreshed and invigorated. Rich Daily Bath & Shower Gel, formulated with Coconut Extract, Aloe Vera Leaf Juice, Papaya Fruit Extract, Mango Fruit Extract, Cocoa Seed Extract, Mangosteen Fruit Extract, Fig Fruit Extract, Orange Fruit Extract, Bergamot Fruit Oil, Lemon Peel Oil and Vitamin C. Organic Virgin Coconut Oil is renowned for its nourishing and hydrating properties. It is also rich in Medium Chain Triglycerides which moisturise the skin. By combining this unique natural ingredient with a proprietary blend of bioactive and organic ingredients it leaves the body feeling regenerated, refreshed and invigorated. Rich in MCT's. Paraben free - SLS free - Fragrance free - Artificial colours free - Harsh preservatives free. Natural and Organic Ingredients: - Coconut extract, Aloe Vera Leaf juice, papaya fruit extract, mango fruit extract, cocoa seed extract, mangosteen fruit extract, fig fruit extract, orange fruit extract, bermagot oil, lemon peel oil, vitamin C.
Ingredients: aloe barbadensis leaf juice, aqua, cocamidopropyl betaine, sodium cocoamphoacetate, sodium lauroyl sarcosincate, caprylyl/capryl glucoside, disodium lauryl sulfosuccinate, coco glucoside, glyeryl oleate, lauryl glucoside, cocos nucifera fruit extract, carica papaya fruit extract, mangifera indica (mango) fruit extract, theobroma cacao (cocoa) seed extract, garcinia mangosteena (mangosteen) fruit extract, ficus carica (fig) fruit extract, citrus aurantium dulcis, citrus aurantium bergamia (bergamot) fruit oil, citrus limon peel oil, gamma undecalcatone, maltol, 3-hexenol, gamma octalactone, diacetyl natural, sodium hydroxymethylglycinate, potassium sorbate, ascorbic acid, citric acid, limonene.